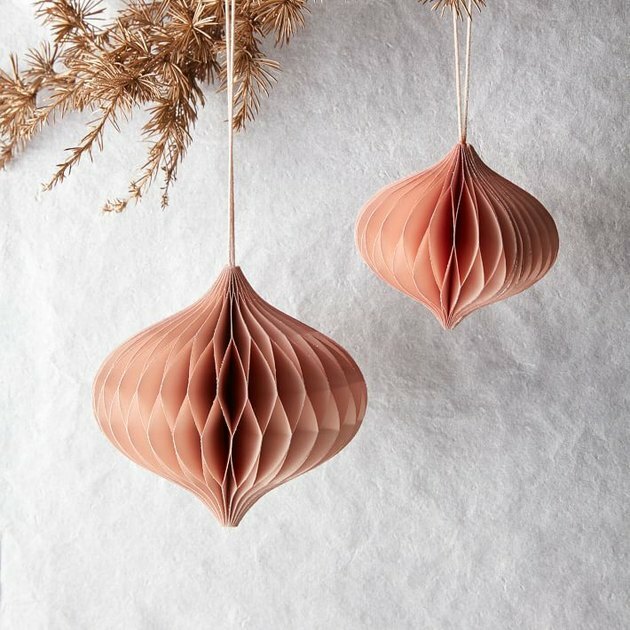 Millennial pink: It's everywhere these days in decor. From kids' rooms to patios to cookware, the pinky-peach hue doesn't look like it's going out of style. And if you're a fan, you can certainly bring it into your holiday mix. 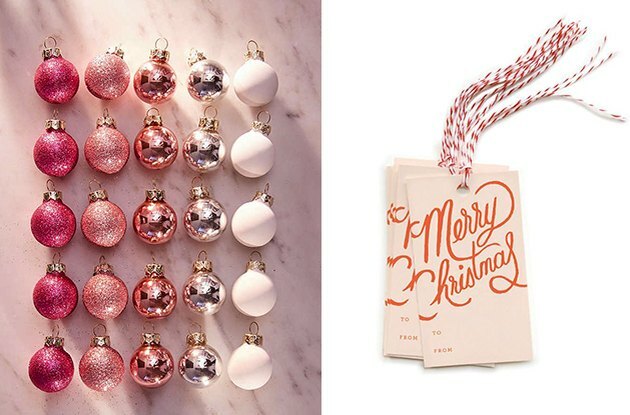 Here, ornaments, trees, and festive decor that are all 100 percent millennial pink. 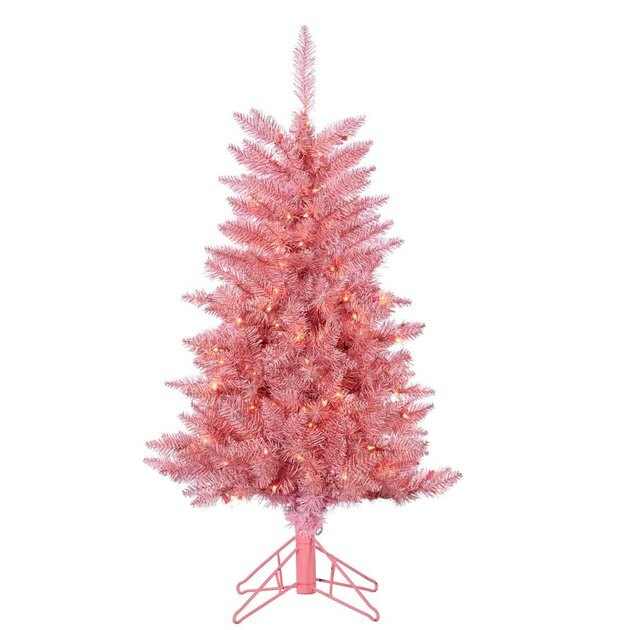 Unless, that is, you want the tree to be the pop of color. 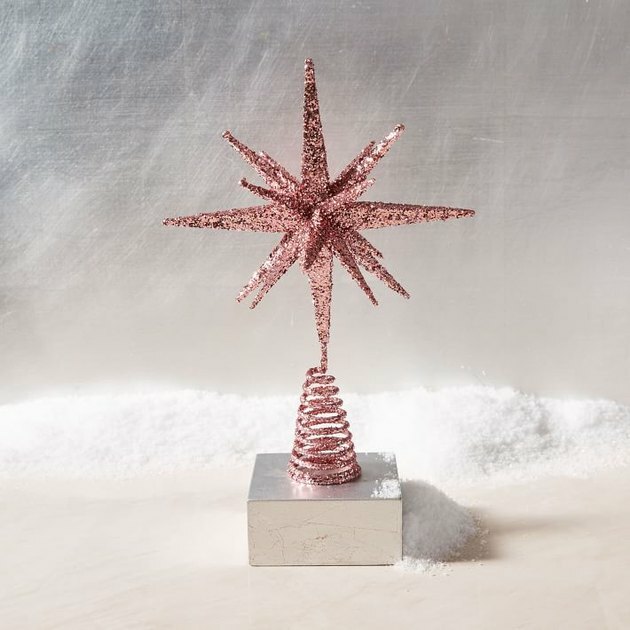 Finish off your tree with a little millennial pink bling, like this glittery star tree topper. 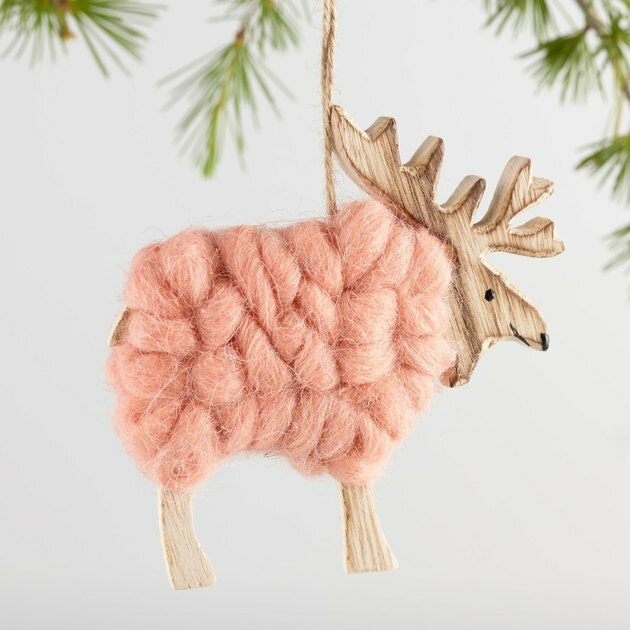 We are digging this reindeer's pink 'do. 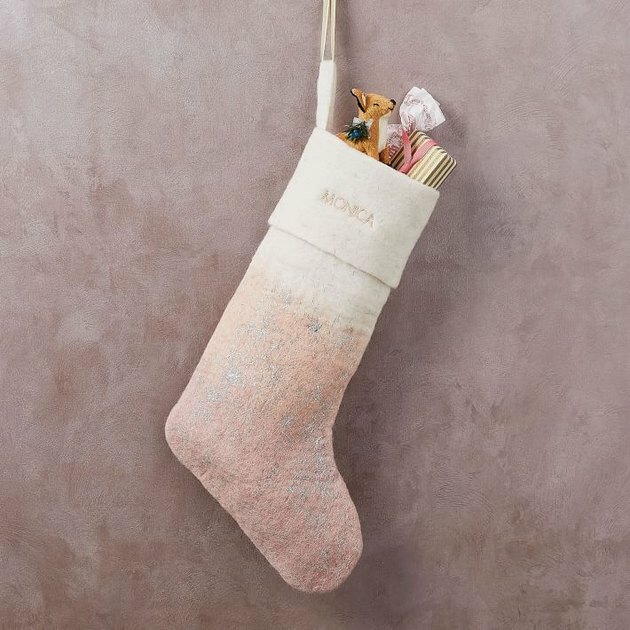 A bit of red trim offsets the boldness of this millennial pink stocking. 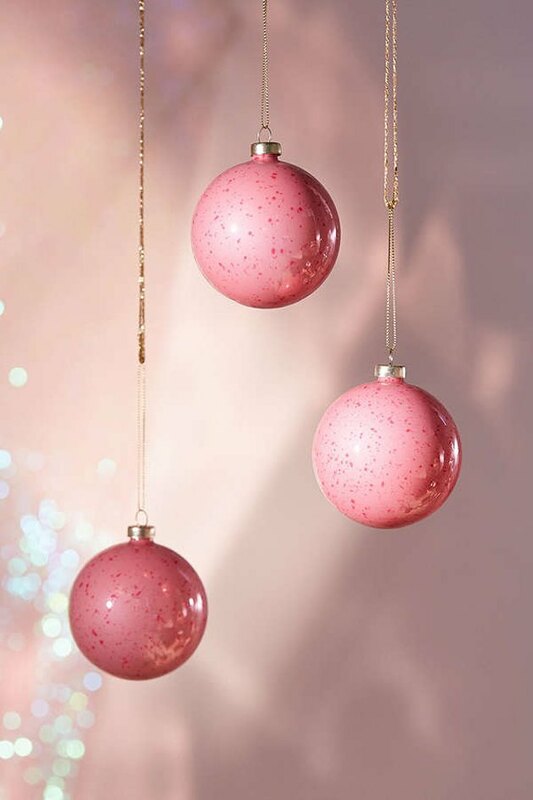 These ornaments have a bit of a Scandinavian vibe — and we're digging it. 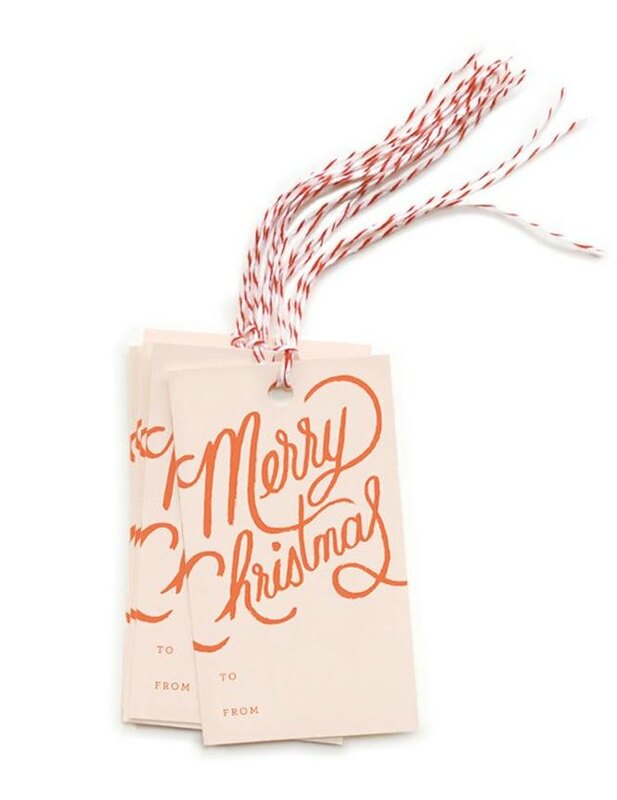 Who says Christmas gift tags need to be all green and red or silver and gold? 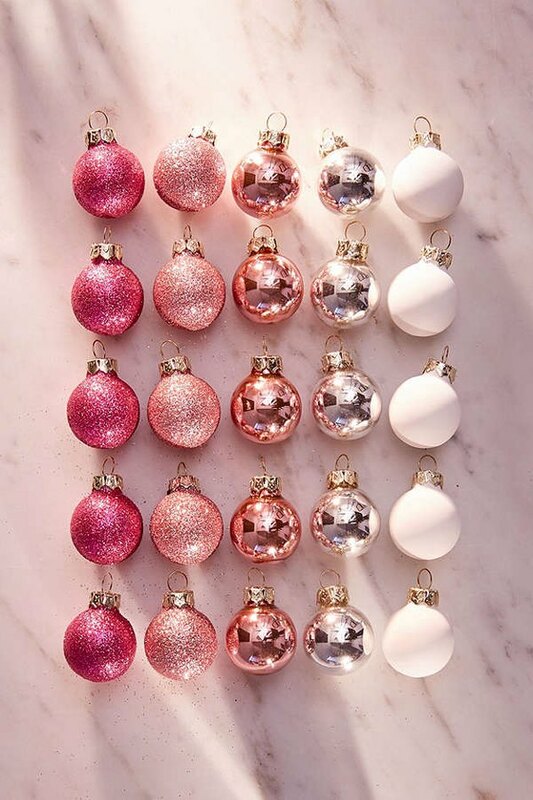 Go pink! Technically, we'd only call the lighter shades in this mix millennial pink — but we'd gladly take the whole box because we love how the colors play off each other. 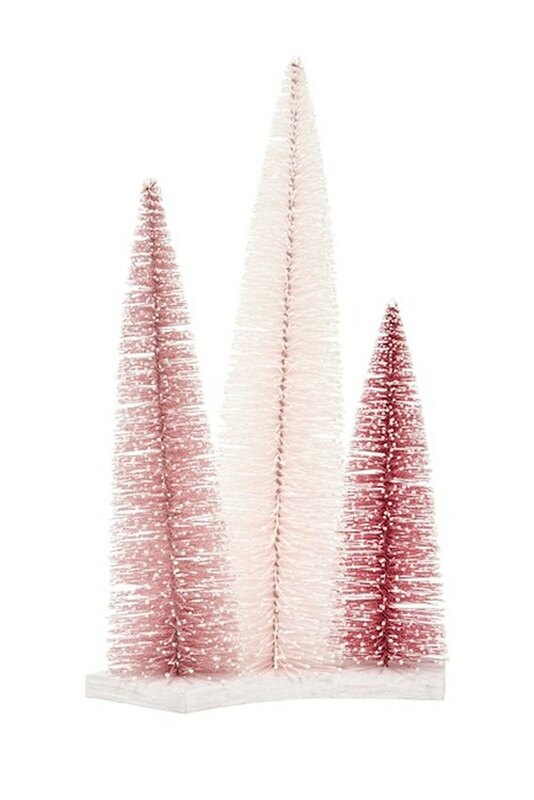 How about adding a touch of millennial pink to your holiday mantlescape? 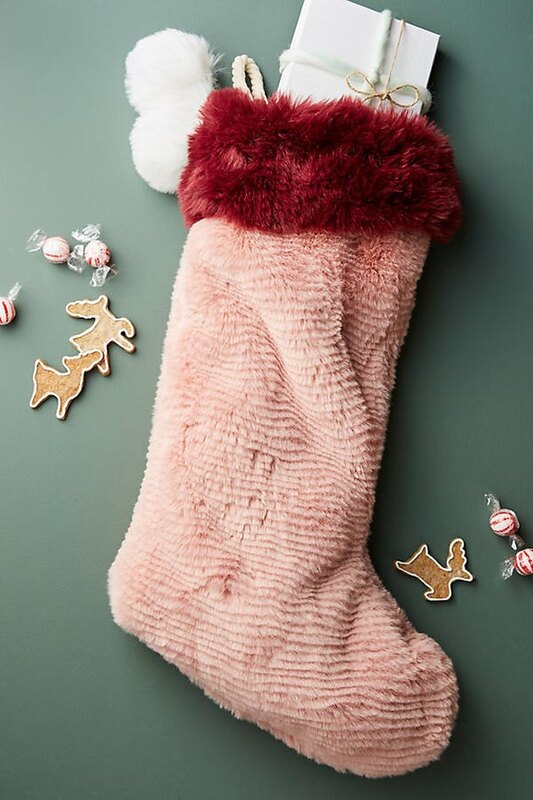 This light pink stocking is on sale. Run — before they sell out! 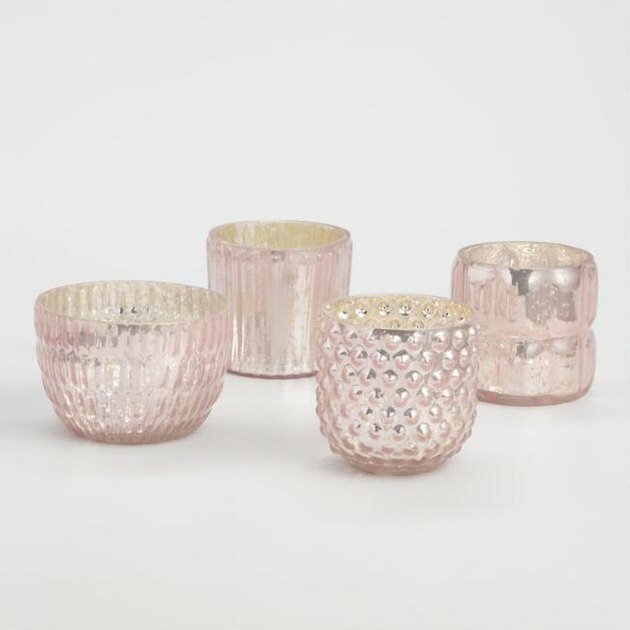 These millennial pink votives would add a bit of warmth to your holiday decor, but we'd be just as likely to keep these on a vanity or in a bathroom year-round.